No one would ever accuse For Honor director Jason VandenBerghe of being hard to notice. Looking past his stature and Viking-style beard, VandenBerghe retains a presence that commands attention. Whenever he comes out to talk about his newest weapon-combat game, he speaks with a full-throated enthusiasm that convinces you to share in every bit of the same spirit. The man who helmed Red Steel 2 is out to show the world how videogames should be playing with sharp objects. “I actually got the idea when I was learning German Longsword,” explained VandenBerghe. This style of unarmored fencing was based around the idea of being swift with a large weapon, placing paramount importance on reading your opponent to take the advantage. “As I was walking home one day, I started to wonder how you could apply these moves to a videogame controller, and how I could apply them to the right analog stick.” After years of pitching the idea to anyone at Ubisoft who would listen, VandenBerghe was given the chance to work with a team that could help him realize his dream weapon game. 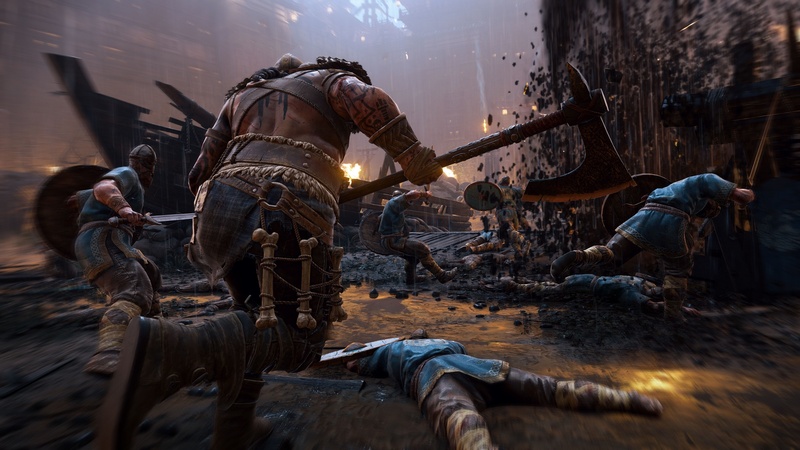 As is true of all game development, the creation of For Honor was the result of a thousand smaller decisions that built up over years to create a single whole. As the game started rolling forward, the team had to start wondering what genre the game falls into, and were unable to come up with a complete consensus. “I like ‘Shooter with Swords,’ but I might be alone in that,” VandenBerghe said. “I do think it is a fusion game, but even that isn’t totally defined. 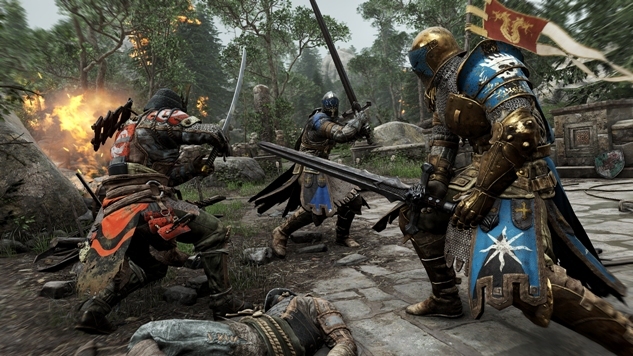 But it is a lot like a fighting game, in that it’s trying to bring that core experience of melee combat to the player.” But likening For Honor to a fighting game means it might also need to be tweaked and balanced like a fighting game, which the team is anticipating for the future. “We have different problems than fighting games, and it’s a lot more spread-out, but that’s part of the challenge,” VandenBerghe said. As development continued, the team struck on the idea of creating different factions for players to join. In the final release of For Honor, you can join with squads of Knights, Samurai and Vikings, historically significant and renown warrior cultures. While there are different types of warriors within these factions, these three tentpoles hold up all the fighting styles available to players. Part of the representation VandenBerghe aimed for was ensuring that female character designs were respectful, eschewing common designs for female warriors in fantasy videogames. The ethos of being a warrior permeates every aspect of For Honor, as is clearly delinated by its creators. From an initial thought of how a player could emulate the style of German Longsword using a standard controller birthed character designs, representation, genre revolutions, and the values of warrior cultures throughout the ages. Imran Khan is a San Francisco-based writer who tweets @imranzomg.